Bi-folding doors have many commercial applications from barns to chicken houses. 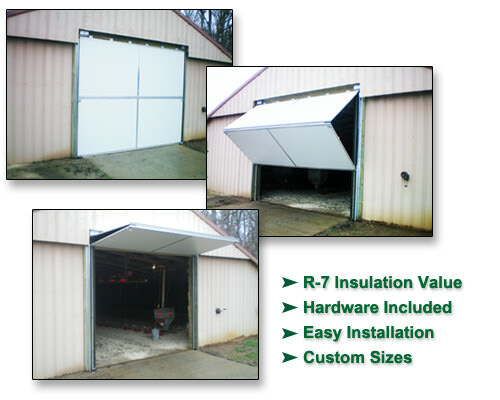 Ancro is a leading supplier of Eagan Manufacturing, Inc. Sturdy Seal Folding Doors. Sturdy Seal folding doors carry significant energy savings as they have excellent sealing capabilities and the doors are injected with polyurethane foam which carries an R-7 insulation value. The skin on the back side of the door is black in color to aid in room darkening. Additionally, Sturdy Seal folding doors are very easy to operate. Sturdy Seal folding doors come in a variety of sizes to fit most applications. Have an upcoming folding door project? Ancro Doors and Windows is here to help. Please complete our quote request form and a member of our team will follow up with your free quote request.